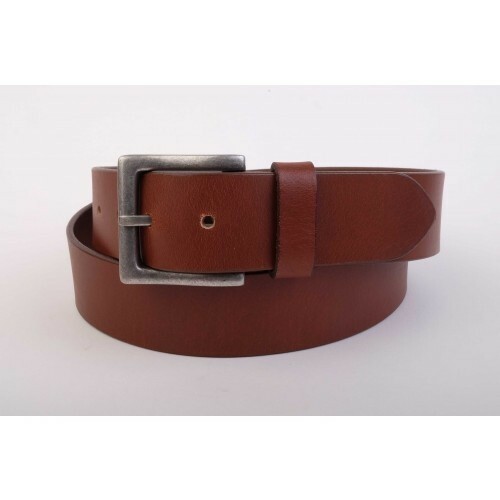 Mens leather belt by Charles Smith. A thick leather mens belt with an extra large vintage silver buckle. Looks great with jeans or chinos for a casual look. Width approx 40mm.